The term Royalty-free is probably quite misleading and often misunderstood. What is covered here applies to sound effects too. Royalty free music is not a type of music, it is a type of license agreement. 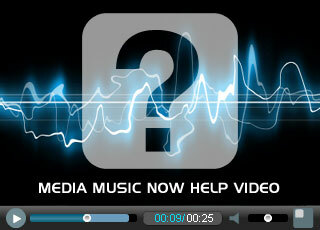 The royalty-free license allows specific uses of the music in exchange for a fee. It is only paid once for that usage and can be used forever (in perpetuity). The license agreement states how the user can use the music for the money they have paid. A misconception is that the music is free. This is not the case. There are some composers who offer their music for free (although not on our website), but they do this for a variety of reasons. However, professional music composers and producers who do this full time as their job need to charge for use of their music and time. Royalty-free is just one name for this simplified type of license agreement, it can also be known as Stock Music, Copyright Free Music, Library Music and more. When & Where Did the Term Come From? This is historic but the origin is unclear as no documentation of where, when or who created the model exists. However, it is known that originally music was licensed via the mainstream copyright collection societies. It became apparent that this process was too expensive and convoluted for many small media producers. They would have to license the music for every use and fill out lots of paperwork. Because the music was created by independent composers, somebody decided to license direct to the user for a single upfront payment. As the user no longer had to pay for every future use of that music the term 'royalty free' became used. It was more of a 'pay up front' and no further royalties are due, i.e. royalty free. The term stuck. Other terms got added and now these are terms that people search for and Google ranks websites for. Generally speaking, Royalty-free means you pay once for one or more defined uses of a piece of music in your project or projects. This will be subject to the terms and costs of that library. Aren't All Royalty Free Licenses the Same? No. Far from it. They vary vastly from library to library. Unlike purchasing your TV license in the UK, or having a drivers license where everybody will have the same thing, a music license is a whole different matter. With independent music, there is no standard license, just a standard set of copyright principles. The result is that music licensing is a very fragmented industry and one library will have different terms to the next. It is like everybody has their own recipe for the same thing. You need to check the terms with the supplier. We try to make ours as simple and as flexible as possible and they are available to view by clicking the 'License and Download' button in our search results. Music licensing is a complicated matter with legal implications. As such every credible online library emerging from the 1990's onwards was setup by composers, and all music within the library was provided by the composers involved in that library. This meant the library could guarantee the origin and quality of the music due to the close working relationships. These companies were / and are mostly still private, independent businesses. We are happy to be one of these. In recent years a number of community based libraries have been setup by big companies, typically after raising large investment capital, and these have been setup with bulk in mind. Their process allows anyone to sign-up and upload content. This is known as user-generated content. While this is more risky, they accumulate huge amounts of content effortlessly and the quality and integrity varies. In recent times we are aware of numerous cases where people steal and upload other peoples content to these systems to fraudulently make money. The libraries in question do respond to the issues, but it takes time. In the cases we know of, many of their clients have licensed and used music that has been offered illegally as the real owner did not give consent. In these cases the perpetrator seemingly gets away with it. The libraries in question have everything covered with their high paid legal team, therefore, the composer who had his music stolen and the client who thought they had a legitimate license have no recompense. That is for you to decide. We have given you the unbiased facts. We will never accept user generated content and always hand-pick our music for quality and peace of mind about its origin. Furthermore we will only work with composers that we know and trust.